A colourful puzzle game enriched with arcade elements, in which we take control over the titular Melbits - creatures inhabiting a data cloud. 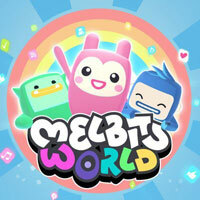 Melbits World is a logic and arcade game developed by an independent Spanish studio named Melbot. The production was created with the PS4 platform in mind. The main characters in Melbits World are the titular Melbits, i.e. creatures from a digital dimension, inhabiting a data cloud. While playing Melbits World, which was released on the PS4 platform, we observe the action in an isometric projection. The game is divided into levels through which we must safely guide our Melbits. The title has been created with multiplayer gameplay in mind; in order to be successful, we need to cooperate and coordinate our actions, e.g. to deactivate the numerous traps. The level of difficulty gradually increases as we continue to progress throughout the game. Melbits World coordinates with the free PlayLink app, which can be installed on your iOS or Android mobile device. Thanks to this, the game is not played with a pad, but with the touch screen of a smartphone or tablet.